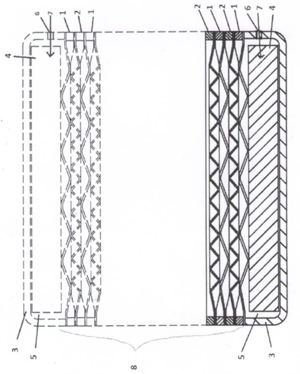 RauCell Plate Heat Exchanger has references of numerous customer applications starting from 1994. In heat transfer plates are no flow holes, which minimize heat transfer surface and restrict passage. The plates are welded on edge to form uniform and enduring shell. Primary and secondary circuits as well as all surfaces are of material AISI316L. Acid sustainable stainless steel is an excellent common place construction material. The plate spaces are clean and have no foreign metals. Heat Exchanger construction does not include brazing and aquatic poisonous metals as copper. It suits also well to chemical industries and food industry. Suitable as well to hygienic spaces. The Heat Exchangers are wholly welded. There are no dissolving brazings and no leaking edge and hole gaskets. Joint sizes to choose are G1/2”, G3/4”, G1”, DN40, DN50, DN65, DN80, DN100. Circuits needing flush and wash can be equipped with extra joints. Water, fluids with water, steam, vapours, oils, hydraulic oils, hot oils, cold oils, burner oils, chemical fluids, gases, air, cold fluids as ammonia. We cope with the EU Pressure Vessel Directive 97/23/EU. Allowed use pressures are from zero to 60 bars. Allowed temperatures of use from below zero to several hundred Celsius degrees, depending of the application.